I grew up surrounded by music in Berkeley, California. My family attended a church that did not allow instrumental music, so singing has been a part of my life since birth. My father, uncles, and cousins were all song leaders in our church, and all of them were in the military at some point. My first cousins had military careers leading up to posts as colonels, a very visible position of leadership for African Americans. Several of my relatives had direct experience with war and its effects when they were involved in combat areas. While I’ve always been an anti-war person, I’ve also always understood the importance of honoring the service of those who have gone to war on our behalf. I know that humanity is sometimes stripped from Veterans through tragic experiences. And I know that singing is a fundamentally human thing to do. 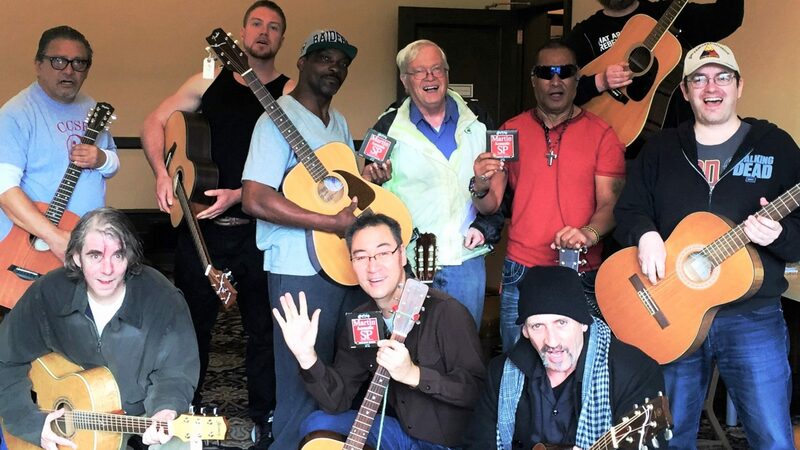 So it seems natural to me to work with – and sing with – Veterans. I’m glad that Heroes’ Voices is able to meet Veterans at the intersection of tragedy, community, and music. Dr. Lynne Morrow, Director of Artistic Programming for Heroes’ Voices, is a dynamic expert in the field of ensemble vocal music. Known for her visceral connection to music and for her innovative approach to reaching the widest possible audience, she produces and presents works from every corner of the musical arts. Currently, Dr. Morrow serves as the Director of the Voice and Music Theatre Programs at Sonoma State University. Since 2005 she has been the Music Director of the Pacific Mozart Ensemble. 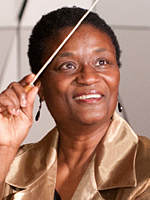 She is also the Music Director of the Oakland Symphony Chorus. Dr. Morrow received a Grammy nomination for her work with the Pacific Mozart Ensemble, with whom she has recorded two CD’s of Dave Brubeck’s choral music, “Songs of Praise” and “Brubeck and American Poets”. She recently took the Pacific Mozart Ensemble to Cuba with a program tour focusing on US and Cuban music of the African diaspora. She has expanded the scope of the Oakland Symphony Chorus to include contemporary, international and neglected works along with its traditional classical repertoire.